ACCEPTANCE: allowing urges, emotions, thoughts and feelings to occur without attempts to control them. Acceptance does NOT mean a hopeless acceptance of the fact you have trichotillomania. ACT is an acceptance-based, behaviorally oriented therapy. It was first proposed by Hayes et. al. (1999), but I believe Dr. Woods is the first to study treating ttm with ACT. Why work on acceptance? Dr.Woods conducted an online study which showed that pullers who are less accepting of private events tend to have stronger urges to pull and more severe pulling. [I found the concept of “private events” confusing at first. From what I can tell, it’s anything that happens inside you that you experience privately. As he said: thoughts, feelings, emotions, urges]. People follow rules not experience. He cited a study where people played a slot machine that was rigged to never pay off for the player. The people who were told that the machine WOULD pay off eventually, played longer than the people who were not told anything. The point is, people follow rules over their experience. Where this fits in with trich: the rule is, “if you feel bad, get rid of it.” This is what society teaches us. This works well in many situations (if the kids are too noisy, send them outside; if someone is tailgating you, change lanes, etc.). But this does not work with private events such as feelings. Trying to just get rid of bad feelings, urges, etc. does not work long term. But we keep doing this anyway because that’s the rule we’ve been taught. Focuses on getting the person to see that attempts to stop, alter or avoid private events such as thoughts, emotions or feelings have been unsuccessful. Pulling is often another way to avoid or control private events. He asked us to think about an uncomfortable private event that we’re dealing with right now. He asked how we tried to deal with it. The common answers people gave were: avoided thinking about it, distracting themselves from it, and denial. We confirmed that none of these things work long term in dealing with the private event. It comes back. Focuses on getting the participant to be willing to experience negative or uncomfortable private events. If trying to control private events is the problem, willingness to experience uncomfortable feelings may be a solution. – Willingness is not the same as “wanting”. He had a “Joe the Bum” metaphor (acknowledging that “bum” is not PC.) Say you are having a party that all your neighbors are invited to, and everyone is having a great time. Then Joe the Bum shows up. You don’t want him there, nobody likes him, he’s dirty, he’s smelly. But if you spend your time trying to physically keep him out, you won’t be enjoying your party. But if you are WILLING to accept that he’s there and not fight it, even though you don’t WANT him there, you can still enjoy your party. He said that even if urges etc. are not originally language-based, they become so because WE are language-based. (There was a lot of clinical stuff he went over making this point.) We need to understand language for what it is, and that words are powerful only because we let them be. This step is about de-literalizing private events. We did two exercises to illustrate this. The idea is that “milk” made us think of the white frothy stuff, but only because of what WE associate with that word. By repeating the word over and over, we de-literalized it. It became just a word, the letters m-i-l-k. Similarly, an urge that’s felt as “I need to pull” can be de-literalized by repeating “I need to pull I need to pull I need to pull” until they are just words, not something that must be acted on. Those words don’t have power unless we give it to them. The second exercise is to imagine you are watching a parade and a band is marching by. Imagine that your thoughts, whatever’s bothering you, are written up on cards that the band members are carrying. And just watch those “thoughts on cards” go past you. Acknowledge them but separate yourself from them. – Observing Self: the “self” that has always been and always will be. He made an analogy to a chessboard: I am the board, not the game that is happening on it. Whatever happens on the board does not have to affect me. – You have the ability to choose your behavior. You must choose to move in your valued direction. – What do you value? What do you want your life to stand for? – Need to make psychological room for private events while you move your life in the valued direction. [I think an example of what he means by the last item is: a valued direction for me, is not pulling. By trying to move my life in that valued direction, I will have uncomfortable private events and I need to accept this and be ready for this. **The idea is to combine acceptance techniques with other behavior therapy procedures. A clinical study showed this is effective, based on five different measures of pretreatment and post treatment hair pulling. How Long Does it Take to Break a Habit? Yes Trich is more than a ‘bad habit’. However, it is an unwanted behavior that I believe can be unlearned or changed. My goal is to break this ‘habit’. I have been working at this since beginning this blog 2 years ago. Yes, I tried to stop pulling before that, but my mindset changed. I was willing to do everything I could, including changing my mindset. 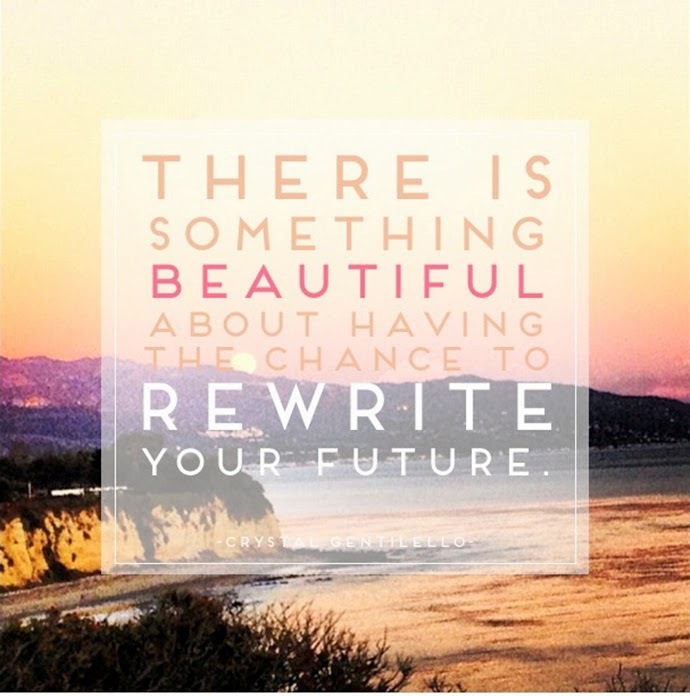 Before a bad habit or unwanted behavior can be changed or stopped, I believe you need to change your thinking. Your thinking rules everything you do. This is why cognitive therapy is effective. The fist step of changing your thinking is to accept that you have a real disorder that causes you to pull your hair. It is not a lack of will power or discipline that keeps you in the cycle of hair pulling and self-loathing that often directly follows pulling. Click here for more information about Commitment and Acceptance Therapy. Once you have changed your thinking, you can focus more on the unwanted behavior (hair pulling or any behavior). Cognitive Behavioral Therapy follows this approach (CBT). “The most effective treatment for Trichotillomania is a combination of various types of Cognitive-Behavioral Therapy (CBT). Perhaps the most important of these is called Habit Reversal Training (HRT). HRT is based on the principle that hair pulling is a conditioned response to specific situations and events, and that the individual with Trichotillomania is frequently unaware of these triggers. HRT challenges Trichotillomania in a two-fold process. First, the individual with Trichotillomania learns how to become more consciously aware of situations and events that trigger hair-pulling episodes. Second, the individual learns to utilize alternative behaviors in response to these situations and events. Other Cognitive-Behavior Therapy techniques can be used as adjuncts to HRT in the treatment of Trichotillomania. Among these are Stimulus Control techniques and Cognitive Restructuring. Stimulus Control techniques involve utilizing specific physical items as “habit blockers” to restrict the ability to pull hair, while Cognitive Restructuring helps an individual with Trichotillomania learn to think differently in response to the urge to pull their hair. One of the most effective CBT developments for the treatment of Trichotillomania is Mindfulness Based Cognitive Behavioral Therapy. The primary goal of Mindfulness-Based CBT is to learn to non-judgmentally accept uncomfortable psychological experiences. From a mindfulness perspective, much of our psychological distress is the result of trying to control and eliminate the discomfort of unwanted thoughts, feelings, sensations, and urges. In other words, our discomfort is not the problem – our attempt to control and eliminate our discomfort is the problem. For those with Trichotillomania, the ultimate goal of mindfulness is to develop the ability to more willingly experience their uncomfortable thoughts, feelings, sensations, and urges, without pulling their hair. To learn more about Mindfulness Based CBT for the treatment of Trichotillomania, click here. *You’re gonna need more than will power. From daily tooth-brushing to the 11am coffee, we all have dozens of habits that get us through our daily routine. Some are great – weekly gym visits are often encouraged – others not so much, like smoking a pack a day, or dialling the number of the pizza place way too often. Because we recognise our habits as useful or detrimental behaviours, we often strive to shape them accordingly. There’s no shortage of apps out there designed to help you form a habit, and many of those are built on the assumption that all you need is 21 days. This number comes from a widely popular 1960 book called Psycho-Cybernetics by Maxwell Maltz, a plastic surgeon who noticed his patients seemed to take about 21 days to get used to their new faces. However, according to a 2009 study, the time it takes to form a habit really isn’t that clear-cut. Researchers from University College London examined the new habits of 96 people over the space of 12 weeks, and found that the average time it takes for a new habit to stick is actually 66 days; furthermore, individual times varied from 18 to a whopping 254 days. The take-away message here is that if you want to develop a new behaviour, it will take at least two months, and you shouldn’t despair if three weeks doesn’t do the trick – for most people that’s simply not enough. Stick with it for longer, and you’ll end up with a habit you can keep without thinking. But what about trying to break an unwanted habit? Experts agree that there’s no typical time frame for breaking a habit, and the right recipe is going to be a mix of personality, motivation, circumstances, and the habit in question. “People who want to kick their habit for reasons that are aligned with their personal values will change their behaviour faster than people who are doing it for external reasons such as pressure from others,” says Berkman. According to psychology professor Susan Krauss Whitbourne, sometimes a habit can be broken quickly: “In extreme cases, the habit can be broken instantly, such as if you happen to become violently ill when you inhale cigarette smoke or nearly get hit by a bus when texting and walking.” But in most cases it’s going to take longer than that, and you should probably allow for at least two months. To successfully break a habit, you need to think of your strongest motivation, which will drive you along. Think of a ‘replacement behaviour’ for the habit, but make sure it’s a positive one – replacing smoking with snacking is a common trap, for example. And be patient. The longer you’ve had a habit, the longer it will take to get rid of it. So stay strong, you can do it. Lately my focus has been on Commitment and Acceptance as I delve into ACT therapy. A member of my online support group had a great post about her methods (including acceptance and commitment) for managing trich. I have included her post below. The original can be found on the beating trich support group forum. “In the last year and a half of being here at DS, I have learned a great deal about my relationship with trichotillomania. I can’t always maintain a PF, but I have done it enough to get to the point where I feel I am managing this thing. Perhaps my methods can be of help to others. I am a scalp puller, but I believe these methods can be adapted for brow and lash pullers. I call them my ABC’s, but really they are my CAB’s. Anyone is welcome to post their favorite methods of attack here as well. 1) To borrow from the 12 Step Programs, the first thing is to accept that you are a hair puller. To own it, and to take responsibility for it, and to work towards taking control. Only you can do this. On the other hand, you don’t have to do it alone. 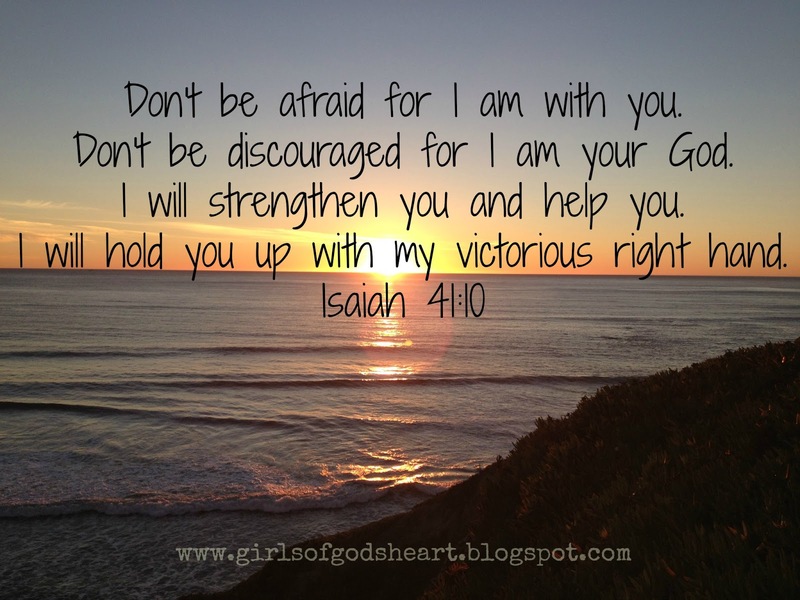 You can ask a Higher Power for help, and you can ask for support here at DS. There are so many of us in the same boat. 2) COMMITMENT: You must commit to fighting this thing. Make yourself that promise, even if you have to grit your teeth sometimes to keep it. Don’t make excuses. Without a strong commitment, I find that I falter. Remind yourself that it is rarely “just one” hair. 3) AWARENESS: Be aware of your triggers – study yourself. Is it food, stress, boredom? Where are you when you pull, what are you doing when you pull? Are you driving, reading, watching TV, at the computer, in bed, in the bathroom, looking in the mirror? Be aware of what your hands are doing. Be aware of when the urge hits. Be aware of when you pull. Stay present. Don’t let yourself get into the pullers’ trance. 4) BARRIERS: Have your barrier of choice readily available, anywhere, any time. -I knit when I watch TV, or I wear a baseball cap or gloves. -If the urge is on fire, I will put ice cube or ice packs on my head. 5) SURF THE URGE: If I don’t have barriers handy, I utilize visualization techniques. -I will imagine that my hands are very heavy, and concentrate on the weight of them in my lap. Or, I will see the urge as a wave or a strong misty wind. I see it approach, and I stand my ground, I will not be swept away buy it. Nor will I strain myself to try to hold it back. I will let it wash over and past me. -The urge always passes. It may take 1,3,15,30 minutes, but it will pass. -Another thing I do is jump on top of the urge on my surfboard (or not) and ride it out. -Sometimes I see the urge as an angry insect, and I put a large glass lid over it and watch it frantically beat it wings into exhaustion. -Sometime I visualize it being zapped into oblivion by a ray of white light. -Or, I will imagine it is a cap on my head, and I will expel a large gust of air through my scalp to vanquish it. -If visualization isn’t your thing, just breathe into the urge. Close your eyes and breathe it away with slow, steady breaths. Breathe from your belly, or look up some yogic breathing techniques. 6) I check in here almost every day. The support and community here is of incalculable benefit. If I falter, I don’t beat myself up, I just start all over again. It is a process. The following post from their site gives a great overview of the kind of material on the blog. Based on this list, here are four of the most important take-aways that have come through loud and clear. Of course, feel free to share your thoughts about these in the comments section below. Trichotillomania does significant damage to one’s self-esteem. It’s clear that one of the most troubling elements of trichotillomania is the sufferer’s feelings about themselves. Generally speaking, the longer one has struggled with trichotillomania, the worse one feels about themselves.But it doesn’t have to take long. Teenagers often feel the worst about their struggles with trich. Feelings of being different – or even damaged, as though something is really “wrong” with them because they pull – are common. Such feelings are especially difficult during the teenage years, when acceptance by one’s peers – the need to “fit in” – is of paramount importance.The good news is, this also means resolving one’s challenges with trichotillomania virtually always results in a massive and nearly immediately improvement in one’s self-esteem; here at The Trichotillomania Relief Specialists, we’ve seen it happen this way again and again and again. Within just days after starting with us, clients are happier, more self-assured and more confident than they’ve felt in years. The most commonly suggested solutions for trich may not actually be solutions at all. 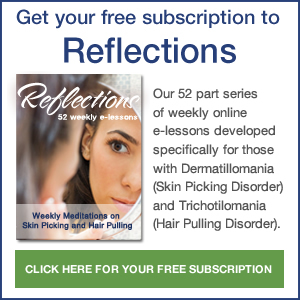 What kinds of ideas for managing your trichotillomania have been offered to you by your well-meaning medical doctor or mental health professionals? What kind of ideas have you come up with as a result of your own research?I’ll tell you what WE hear – shave your head, put gloves on your hands or grease on your fingertips, cover your head with a hat, bandana or hairpiece, go outside and pull grass instead, etc., etc., etc.Ridiculous, right? Whether or not you’ve actually tried any of these, don’t they just sound silly? Because, what is it you instinctually know? That’s right – at best, these are nothing more than strategies to help manage or temporarily redirect your urges to pull – not to eliminate them. And even if they “worked”, how long could they possibly provide meaningful relief? Only until the next set of urges beset you. It’s a never-ending cycle, and because of that, it’s reasonable to ask whether there might be anything more effective than a mere band-aid for managing trich symptoms. Next to strategy, commitment is what’s most important. We’ve seen again and again how a deep and powerful desire to be free of trichotillomania has made the transition to a trich-free lifestyle that much easier.True, clients need to first learn how to create that freedom from trichotillomania. That’s why they come to see us – to be taught the two most important pillars to true, lasting and struggle-free independence from hair-pulling (both elements are taught in the very first week of our flagship 90-Day Distance Personal Breakthrough Coaching Program™).Of course, once clients learn the two major elements to freedom from trichotillomania, they do need to be willing to employ what they’ve learned at the appropriate times. We’ve discovered that those with the deepest commitment to freedom from trichotillomania are the most likely to employ those strategies most regularly, thereby most quickly and easily freeing themselves from the prison of trichotillomania. Your beliefs have a lot to do with your success – or lack thereof. In particular, I’m talking about the beliefs you hold regarding your own power to change what’s not working in your life.Do you believe you have the ability to conquer your trichotillomania? Do you believe anyone has that ability? Or do you believe your trichotillomania is – and must remain – firmly in control? Do you believe the best you can ever hope for is to manage your trich symptoms (but not ever really get rid of it once and for all)? Even if it were possible, do you believe successfully managing your trich symptoms has to mean constant struggle along the way?If upon reading these questions you realize your answers are not what you wish they were, understand you’re not alone! Just about all of our clients have felt exactly the same way at various points along their journey with trichotillomania. In fact, most are still feeling this way the very first day they meet us to begin their 90-Day Distance Personal Breakthrough Coaching Program™ with us. It stands to reason that the more you believe you can at least learn to exert control over your trich symptoms, the easier you’ll find it to be. Unfortunately, the opposite is true as well. But more good news: even if you don’t believe you have the ability to take control of your trichotillomania, we can assure you it is indeed possible – for most, in fact, far more easily than they ever imagined possible. You simply have to learn the skill. Like any other skill, the more you practice, the better you get. ACT is an acceptance-based, behaviorally oriented therapy. It was first proposed by Hayes et. al. (1999), but I believe Dr. Woods is the first to study treating ttm with it. Acceptance does NOT mean a hopeless acceptance of the fact you have TTM. Why work on acceptance? He conducted an online study which showed that pullers who are less accepting of private events tend to have stronger urges to pull and more severe pulling. [I found the concept of “private events” confusing at first. From what I can tell, it’s anything that happens inside you that you experience privately. As he said: thoughts, feelings, emotions, urges].